God wants us to be ready, available, and equipped for a specific purpose. God is preparing us for a specific purpose, but we must leave that which is familiar, comfortable, and secure. We are going to have to change. With that change comes maturity. Maturing spiritually is when we are growing into the image and likeness of Jesus Christ. We have to be willing to be in that position. We have to be in that position when the next move comes so that we do not miss what God intends for us. We have to accept why we are here and who we are. We have to accept that we are the church. 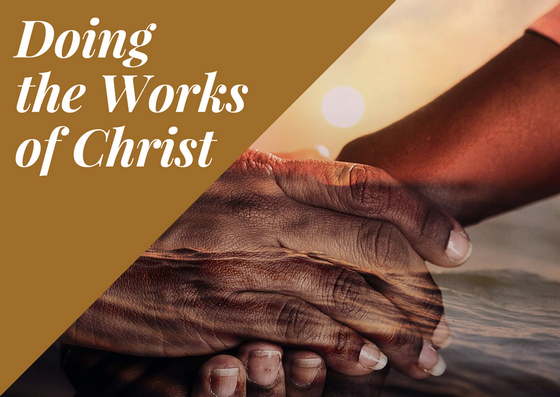 We must do the works of Christ. He gives you evidence that He is in your heart by your prayer language and your peace. When you know He is alive in your heart, you can trust Him and depend on Him. Once you believe who God is and that He is in your heart, then there is no doubt in your heart about who He is and what He can do. c) It causes you to have boldness and confidence in Him. When you know He is alive in your heart, then you are not ashamed of the Gospel of Jesus Christ. When you have evidence of who God is, then you can have unshakable confidence and boldness that Jesus is Lord. When your heart is truly changed, you have a hunger and thirst for righteousness. a) The Spirit of Christ is dwelling and working in you. The Spirit of God helps you to be right with God. b) It causes your heart to agree with God’s Heart. When the will of your heart is His will. When your thoughts and your ways are in agreement with His heart. c) It causes you to have peace. The peace of God rests and abides in your heart. We have a responsibility to do the works of Christ, but it requires us to be changed. This change takes place on the inside and when it takes place on the inside, it can be seen externally. Apart from God, change is not possible. Our heart has truly been changed when our heart agrees with God’s heart. There is power in righteousness and it produces fruit.